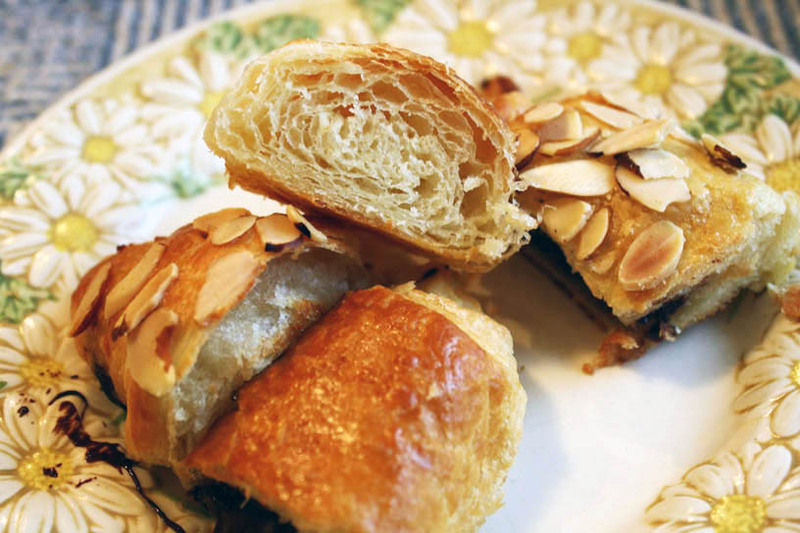 Two exciting things to share: I finally made croissants, and I’m the new food blogger for my newspaper! 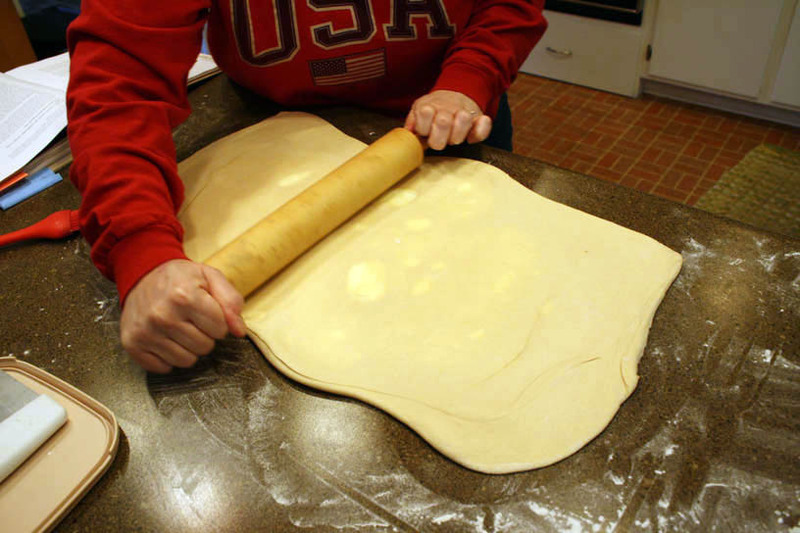 The flaky pastries took the entire weekend, but my relatives and my family devoured almost all of them. Let’s not think about the butter that was consumed. 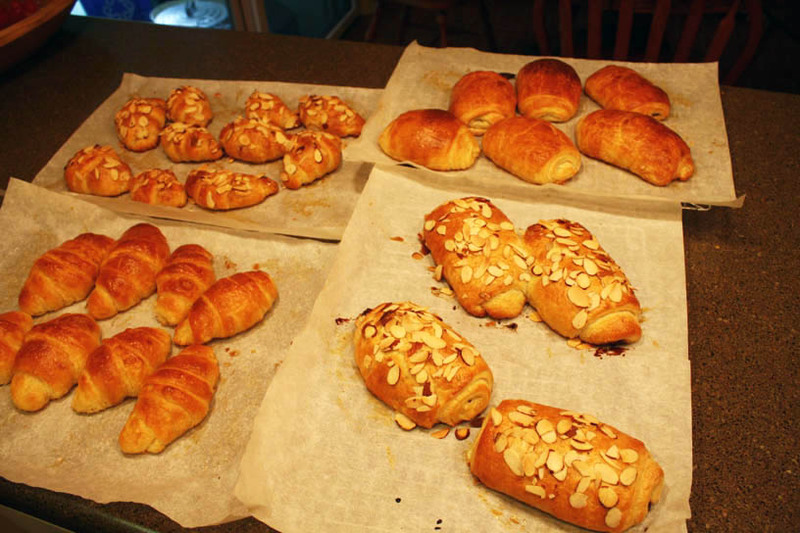 Despite my worries and the amount of time and work involved, the croissants turned out wonderfully. You can find the whole story here on the Front Burner blog, but I wanted to share more photos here. Better late than never! The full recipe is up on Girl + Food, and other bloggers shared their experiences on the Tuesdays with Dorie page. That’s the butter. Lots and lots of butter. 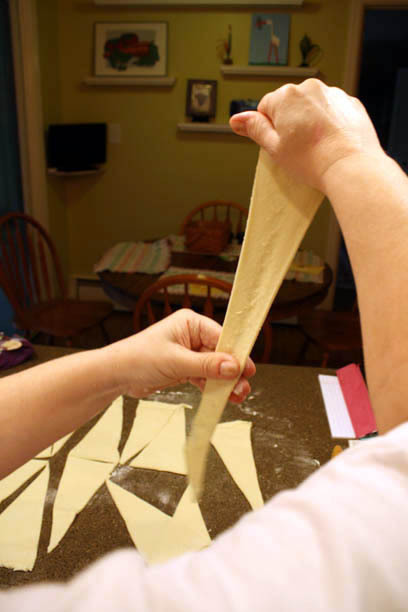 My mom prepped the dough and butter ball Friday night. 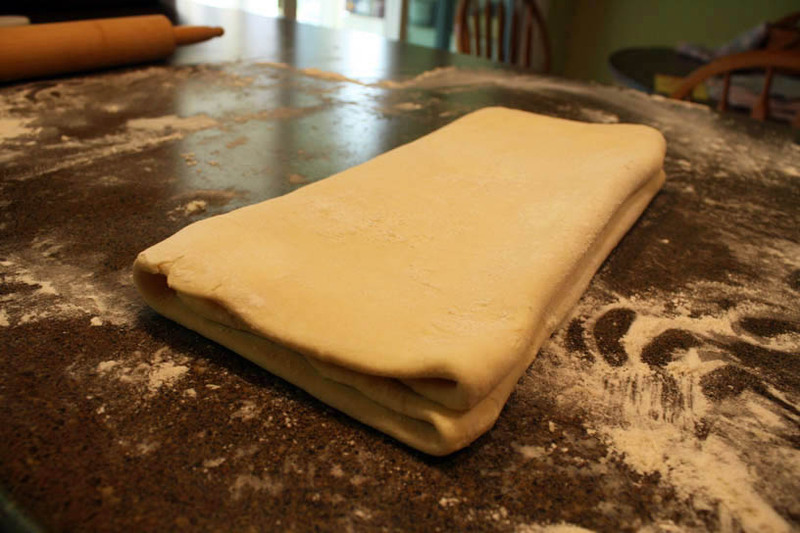 Then, we started making the layers. All day Saturday, we rolled and folded and waited, rolled and folded and waited. 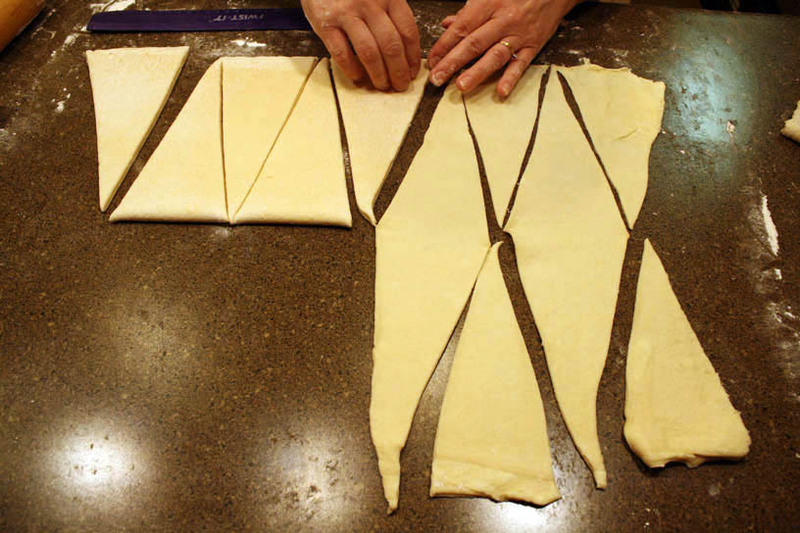 Finally, it was time to make the crescent shapes. 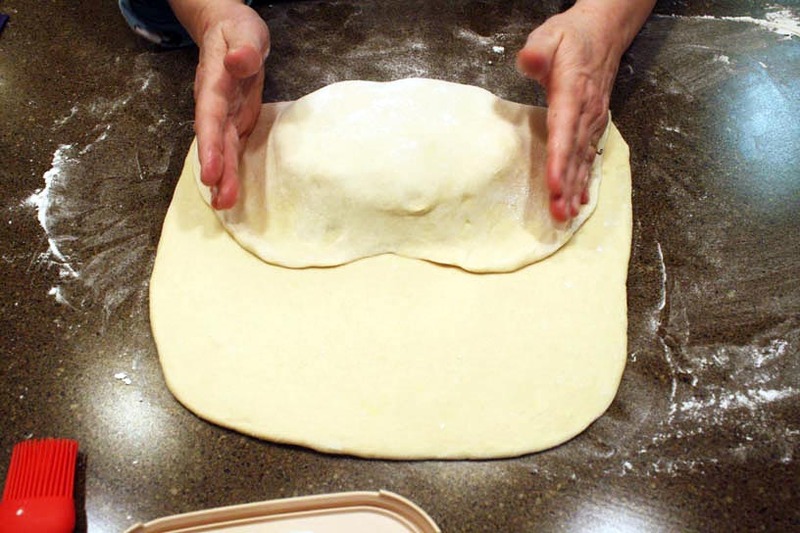 An egg wash makes the finished pastries nice and shiny. 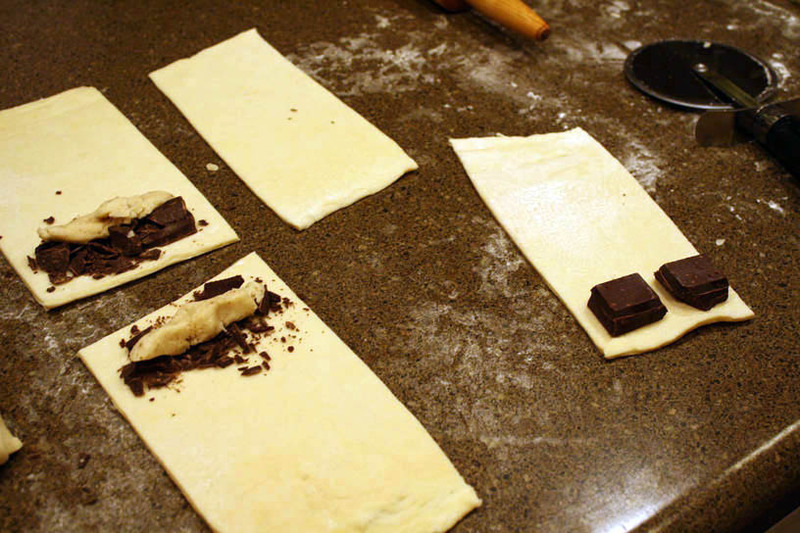 Some croissants were rolled with squares of dark chocolate. And we added the homemade almond paste to some too. Mmm. Look at these beauties! Don’t tell anyone, but my mom and I ate those two baby pastries hot from the oven. So many croissants. And so few left after just a few hours. Despite the commitment, would we make them again? I think so. 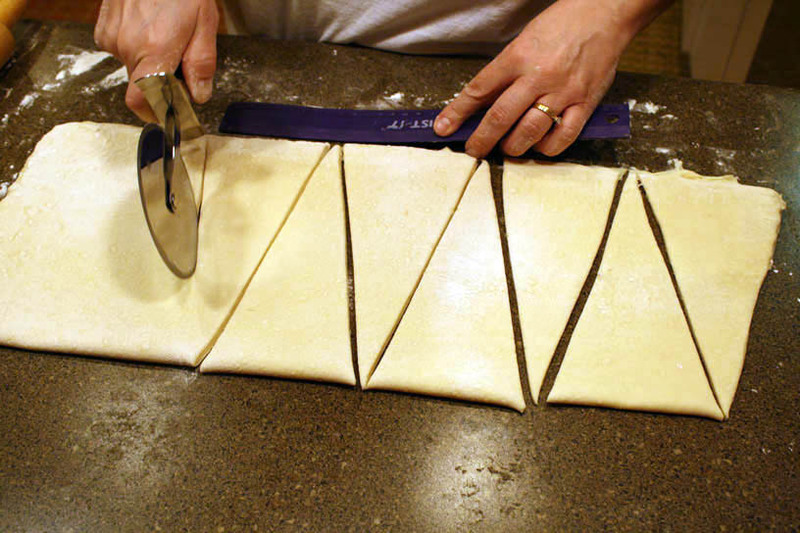 They certainly were better than many pastries you can purchase, and the process was fun too. They’d turn a low-key weekend into something special and memorable. Well these were so good that they should get a comment. 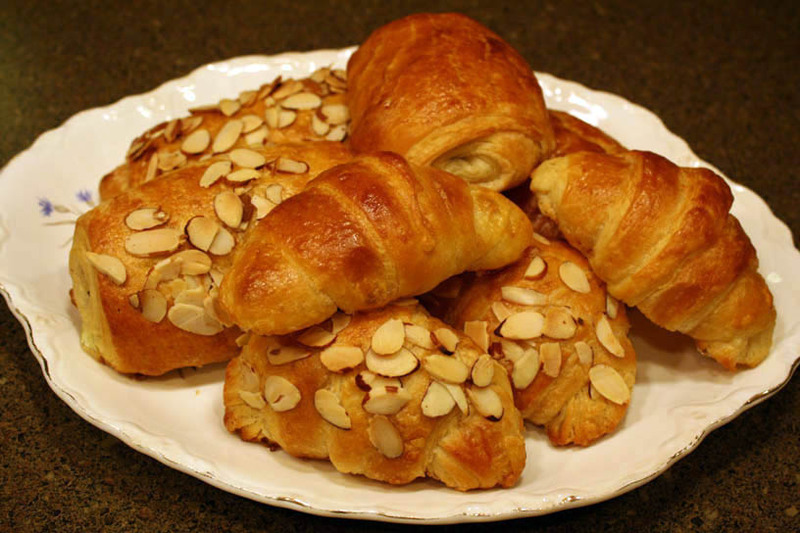 They were the most delicious croissants ever. And after three days we put the last ones in the oven for a few minutes to crisp them up and they were still the best croissants ever. So much butter in the that they can’t possibly go stale. These look fabulous! They are definitely worth the three day process. We just pulled the last three out of the freezer for breakfast this morning. Popped them in a 350° oven for ten minutes and they tasted if they were just made today. 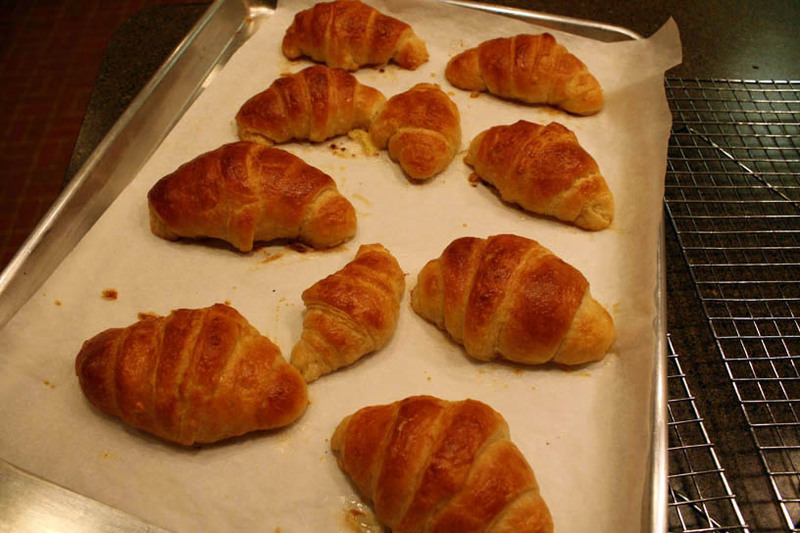 If you make these again, I formed my croissants in the evening, refrigerated them and let them rise the next morning for three hours. Worked great! I really wish I had one in my freezer today for an afternoon snack 🙂 Thanks for the tips!